Back in 2006, we were really lucky: We were in the final stages of organizing the Evolution Of ... Event in Germany, when we suddenly had the chance to add John Mayhew as special guest to our event bill (besides Armando Gallo). Of course, we did not expect that John eventually dies not even three years later. John was in a really good mood during our event and we all remember well how he patiently answered the questions by fans. Another highlight was his "dialogue" with Armando Gallo. You can read the transcript of this stage interview here. John Mayhew got his share in Genesis history for drumming on Trespass. After that, Mayhew more or less disappeared until he appeared again in England in the middle of the last decade. He eventually became special guest at a handful Genesis conventions in England, Italy and Germany and he also gave a few interviews. After that, not much was heard of him. 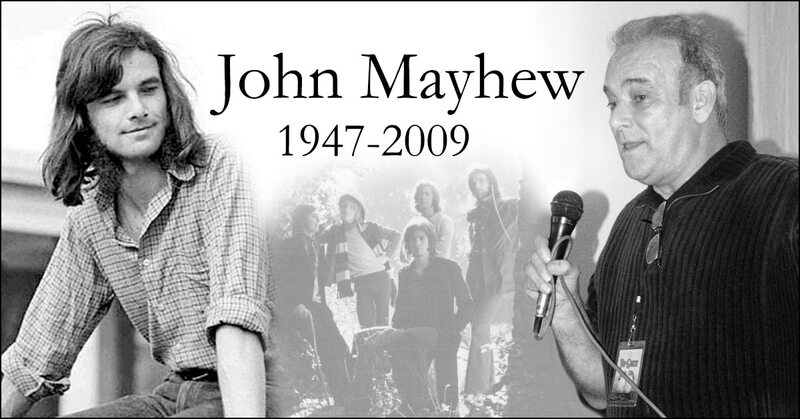 On 26th March 2009, John Mayhew died after suffering from a heart attack, so today is the 10th anniversary of his death. Helmut Janisch wrote an obituary back then, still available at this link.